This week I have a couple of things I am working on. First off is my Lilibet's Garden, slowly making progress with sewing all the applique pieces down. This one needs to be completed by the end of the month. Next on the list is Pfeffernuse, which is on the floor ready to be sewn into rows. As you can see in the lower right corner, I am short one block! Will be putting that together before I go any further. I am also working on a string border for this one- thanks Sandi for the idea! Lastly, I am working on our swap which is due at the end of November. 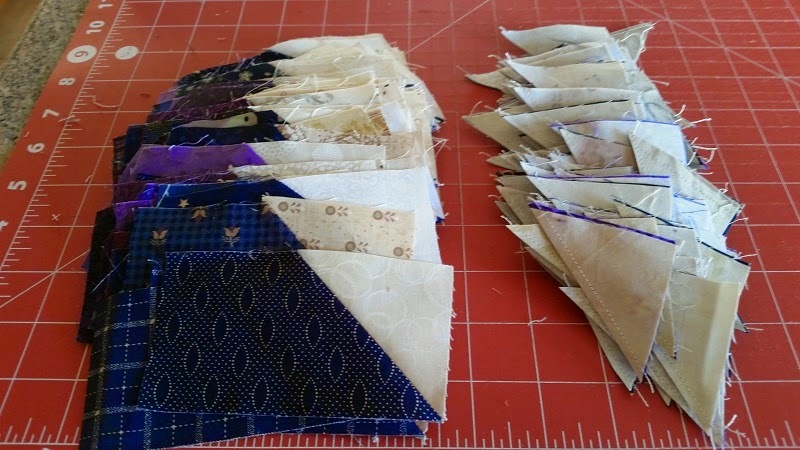 We are all making the purple and blue blades for a quilt called Midnight Flight, by Bonnie Hunter. 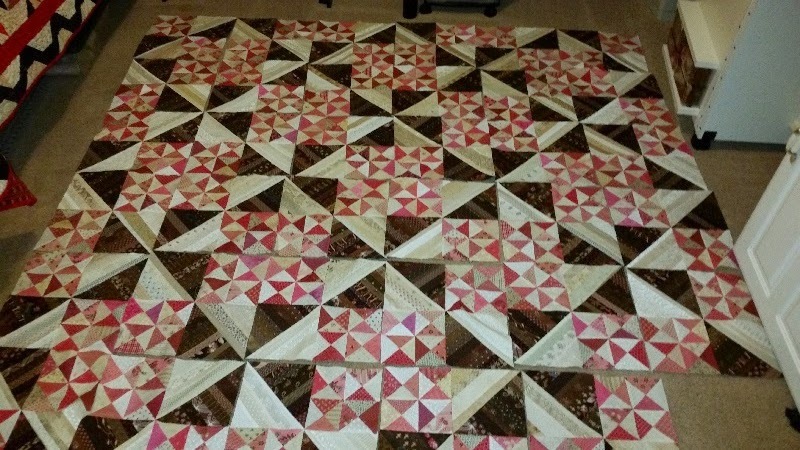 I have about 100 half way done with some bonus triangles to use in another project.